Meet Charley, your personal bodyguard who goes everywhere you go. A full-size 1911 designed for everyday carry. Solid, fast, decisive. Charley never lets you down. Made for the enthusiast who can handle carrying a Government-size 1911, Charley is your new best friend. Charley is a full-size carry 1911, an everyday gun optimized for those who cut no corners. Every detail of this purpose-built handgun has been engineered with performance and safety in mind. 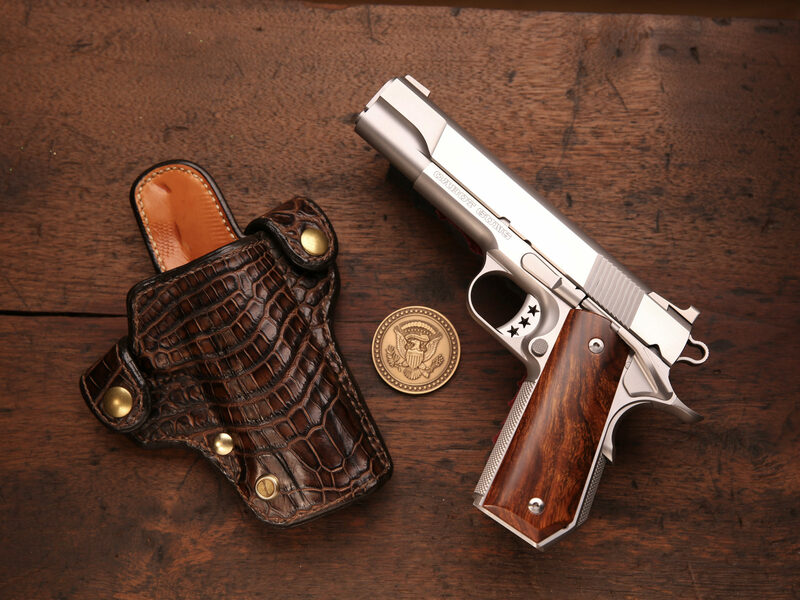 A machinist’s masterpiece, the all-stainless steel construction and custom features combine the best elements of a custom carry 1911 and the exquisite styling with which Cabot Guns has become synonymous. The bobtail grip helps to conceal this powerhouse handgun at one of its most critical exposure points while it’s carry cuts aid in holstering. Sonoran Desert Ironwood grip panels add functional beauty to an otherwise businesslike package. It is our opinion that a carry gun need not be ugly in order to be a lifesaver. From our trademark aluminum Tristar trigger, to the aesthetic and highly-functional rhombus checkering on the front strap and mainspring housing, each and every component is designed for both style and function. 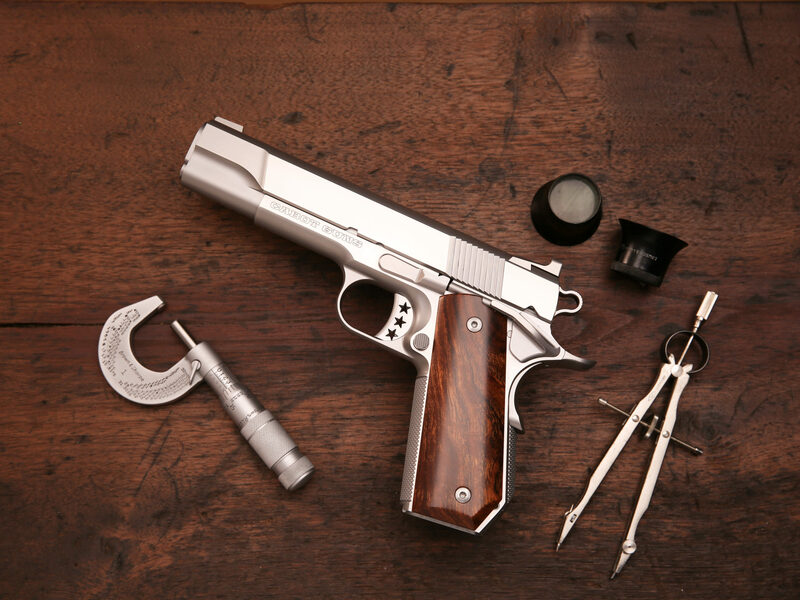 Indeed, our philosophy is that a gun is the sum of its parts and Cabot Components are made to precise tolerances that have no peer among 1911’s. There’s no doubt, the higher the tolerances, the better a machine works. That principle applies equally to a jet engine as it does to a pistol. The unique stainless steel sights are sculpted for one-handed cocking and are available in black as an option. The cocking serrations are precisely milled at a 13-degree angle to compliment the crisp milled carry cuts on the slide. The frame and slide flats are polished to a flawless finish and contrast tastefully with the handgun’s matte elements. Nothing points, shoots, or handles quite like a 1911. With Charley by your side, the joy of a full size 1911 designed for carry is the best of all worlds.